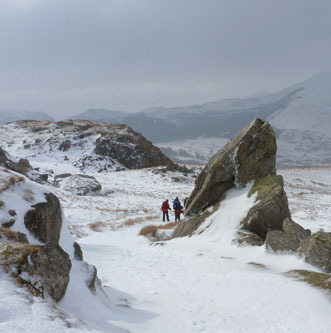 - Guided mountain walks in summer or winter. We can offer bespoke courses to suit all clients. 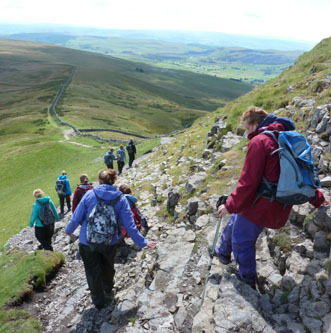 If you would like a guided walk up one of Britain's mountains, get in touch. 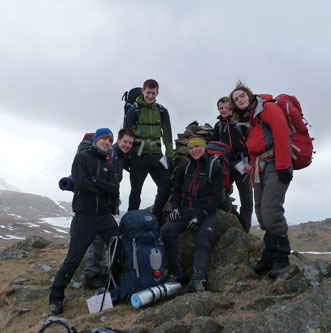 We use qualified Mountain Leaders who are interested in the environment. 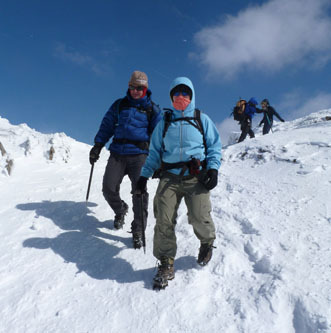 As qualified Winter Mountain Leaders we can take you up into the mountains to gain that special and unique winter experience..
Want to venture into the winter mountains but feel that you do not have enough experience of winter conditions and ice axe and crampon use? 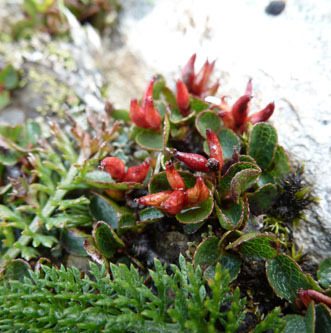 Being able to appear knowledgeable about the environment you are in is essential for a Mountain Leader. This course is overseen by the Royal Geographical Society and is essential for those running school field trips and EVCs.